SHOWINGS HAVE BEGUN! DON"T MISS THIS Beautifully Updated Capitol Hill Condo with Reserved Parking, Full Amenities, Walk in Closet, & Storage Area! You Only Pay for Electricity! 5 minutes to Downtown. It's Capital Hill living at it's best in this larger centrally located Capitol Hill open space condo! Updated with gorgeous high quality laminate floors, newer paint, some stainless appliances in the kitchen, and brushed nickel hardware on throughout! The patio makes for a fabulous outdoor /indoor living space with gorgeous wood plank flooring. There are design accents throughout this lovely home! The fabulous amenities include, Large Indoor Pool, Workout Facility, Sauna, Showers, Game Room (including Ping Pong Table), Party / Community Room with a full kitchen, Library, to enjoy for you and your guests. On-site handyman, and Laundry Room is 10 ft. from the door. 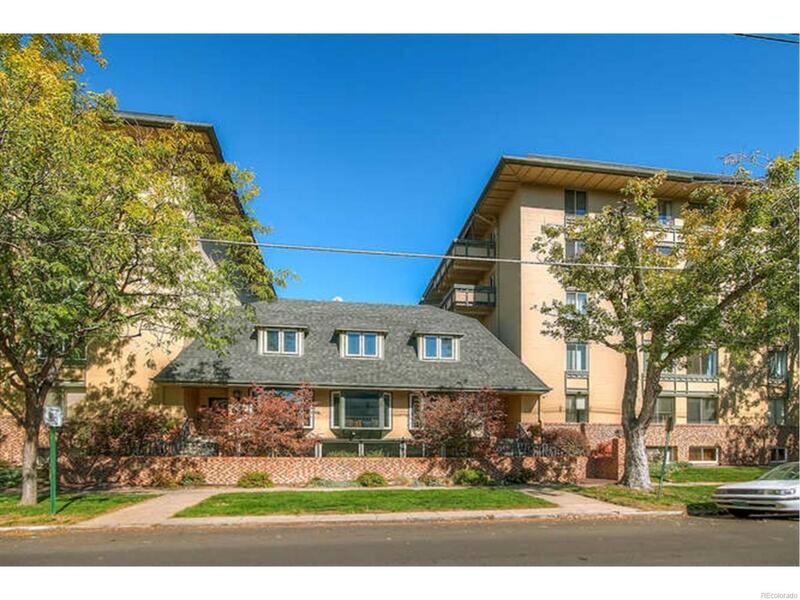 5 Star Restaurants abound, Great Coffee Shops, Hip Bars, & Cheesman Park within easy walking distance. Close to Art Museum.